Weekly updates from Titan Casino keeps you updated on the most recent winners. These big winners proves that you too have the opportunity with online gambling to win big. Much effort goes into these updates and it has been an honour and a pleasure over the past 12 months to continue with this trading. Where do we start the countdown this week? This week’s countdown starts with Helder who played Keno and enjoyed a win of EUR 11,598. Keno is an exceptionally popular game offering the player a combination of lottery, a game of luck and the choices of Bingo. The game allows you to choose between 1 to 10 numbers for the draw and the number of correct guesses determines your payout once the draw has been played. Helder will remember August 25 as a very lucky day. The second winning spot this week is shared as two winners had their lucky day on 28 August 2014. Jacqueline enjoyed the online Sherlock Mystery slot when she became SEK 19,064 richer. This online slot was developed by Playtech and features 5 reels, 20 paylines and offers players free spins and a bonus game. Sherlock Holmes, fictional detective created in the late 1800’s still charms today. The third winner for the week or second winner for the day of 28 August 2014 is Ronel who enjoyed her surprise lucky day while playing the Streak of Luck she won the Jackpot at ZAR 83,508. The game of luck was also developed by Playtech and offers players a fascinating dice game, free spins features and a progressive jackpot. In Streak of Luck the 10th win in the free spins will score you the jackpot. Our wish is for you to be the next big winner and we look forward to welcoming you at Titan Casino where registering is quick and winning is big! 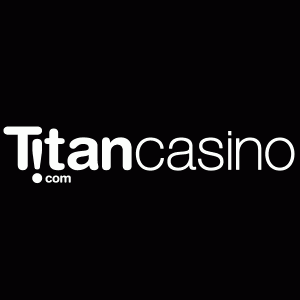 Powered by the latest state-of-the-art Playtech platform,Titan Casino – like other Hardway Investments Ltd sites – holds gaming licenses applicable to the Antigua/ Barbuda jurisdiction. The casino offers a fine selection of regular promotions, as well as rewarding regular members with weekly bonuses, competition points and access to elite challenges. Give it a go today as you can experience all their games for free. Just open an account and try the casino while you play for fun in fun mode. Make sure you don’t win a jackpot in fun mode however… That would be a waste of luck!